Because shooting video in 360 degrees is apparently the rage right now, it seems many manufacturers are hurrying to place a product on the market to meet demand. 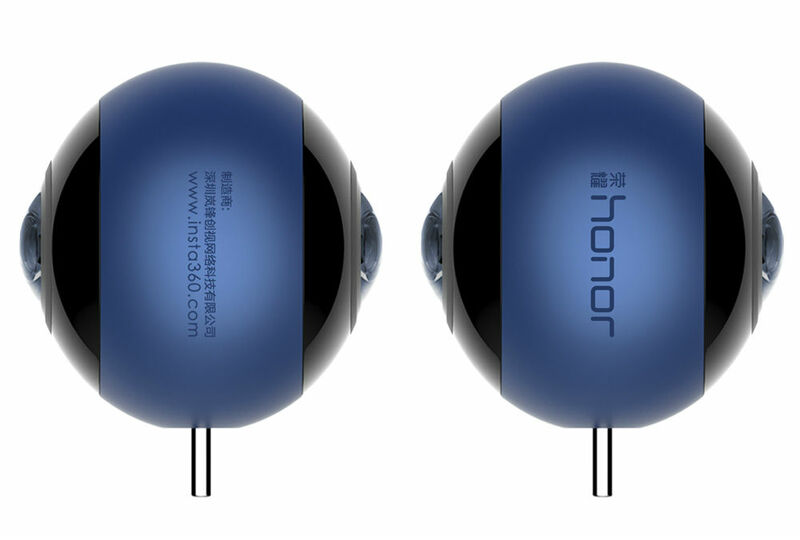 The latest is Huawei, with the company introducing the Honor VR Camera this week ahead of MWC. The Honor VR Camera does just what you’d expect: shoot 360-degree video and very high-resolution stills (3K). Made in partnership with Insta360, the device features two cameras with wide angle lenses, but exact shooting specifications are not yet known. We don’t know the exact sensor size, resolution of video, or anything like that just yet. What we do know is, Huawei does intend to market this specifically for the Honor brand, and the camera will offer a seamless livestreaming experience. From looking at the camera ball itself, on the bottom, there is a USB Type-C plug. This plug goes directly into the port on your device, with all controls being done from within an application. Pricing and complete specifics regarding specs should be known this weekend, and once it’s all announced, we will let you know. Have you used a 360-degree camera yet? Are you even in the market?